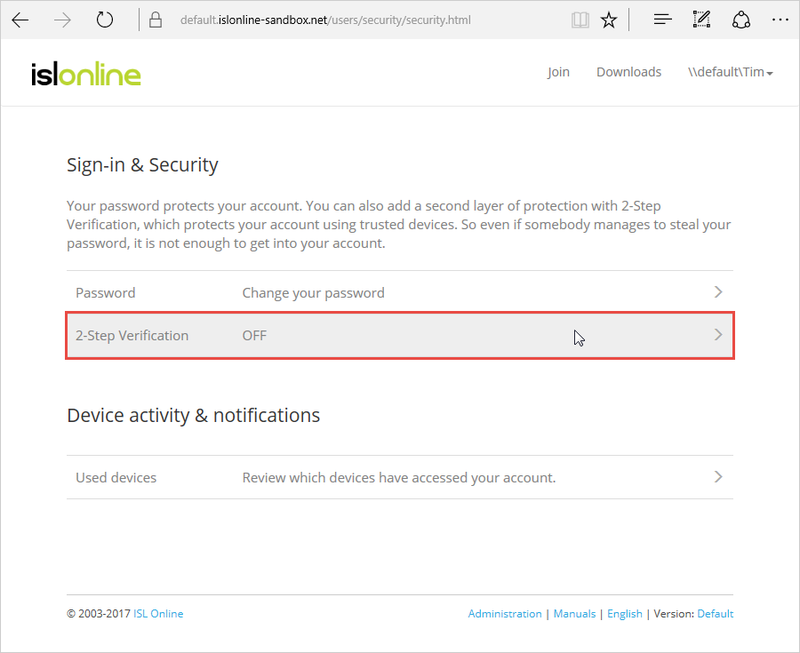 Important: By default, once you enable 2-step verification for a user, any login attempts for that user without 2-step verification (e.g. through one of the programs mentioned above) will no longer work. In case you wish to allow legacy logins (without 2-step verification) even after you have enabled it, a special flag needs to be set in your ISL Conference Proxy administration. Please contact ISL Online support via email or through live chat and ask for assistance. If you feel confident enough, you can follow the steps below. Please do not change any other entries in the raw data section. 1. 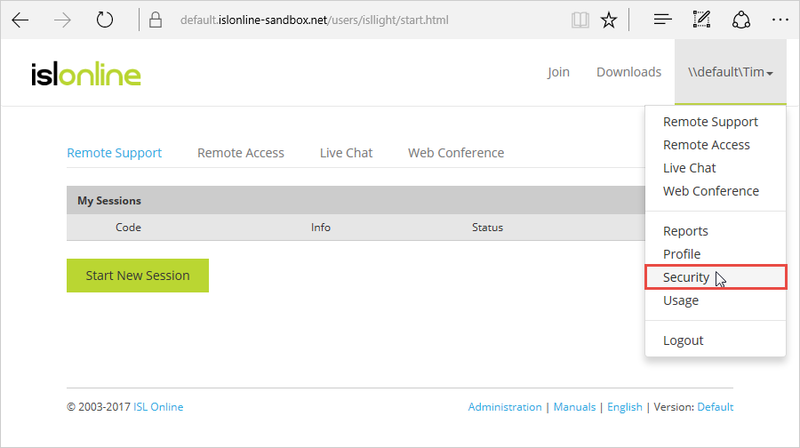 Login to ISL Conference Proxy administration (http://localhost:7615/conf). 2. Go to Configuration -> Advanced -> Raw data. 6. You will need to restart your ISL Conference Proxy to apply this flag, please do that at the appropriate time. 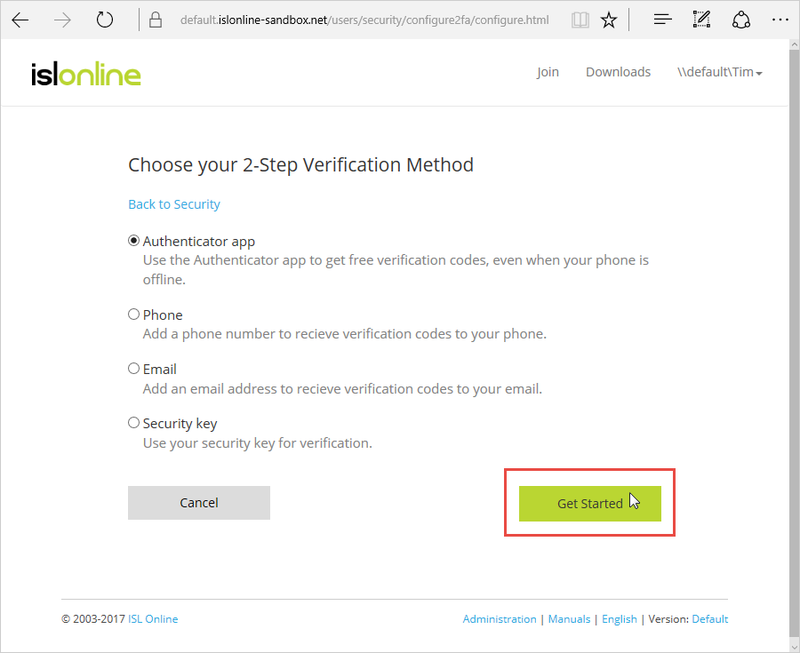 To enable 2-step verification for your account follow these steps. Select "Security" from the drop-down menu. 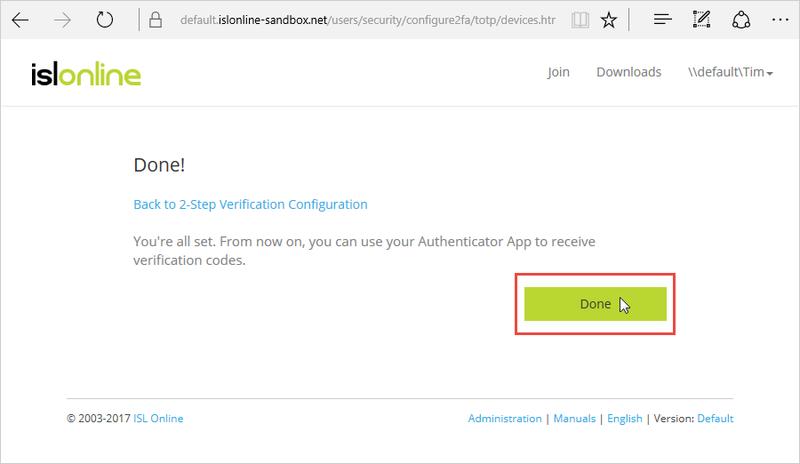 Select any 2-step verification method to configure. 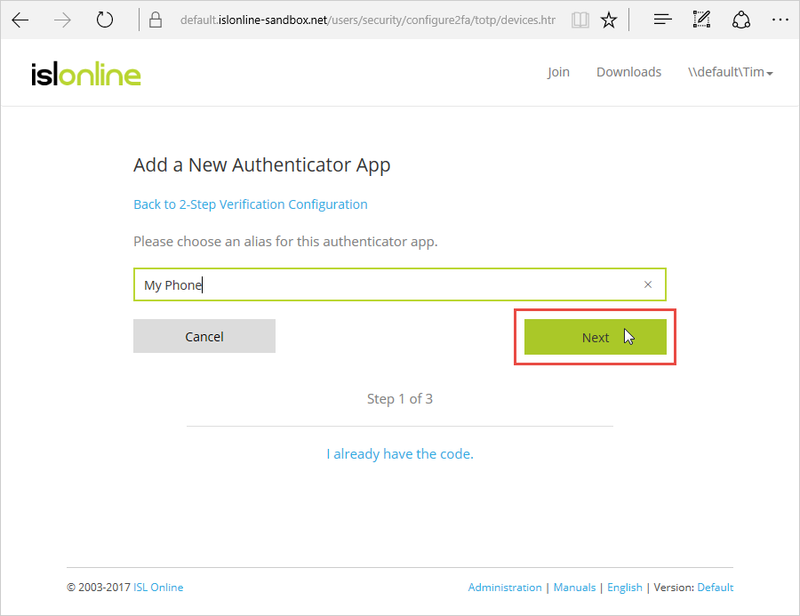 For the purpose of this manual we will configure an Authenticator app. Select the "Authenticator app" option and click the "Get Started" button. Type a unique name and click on the "Next" button. 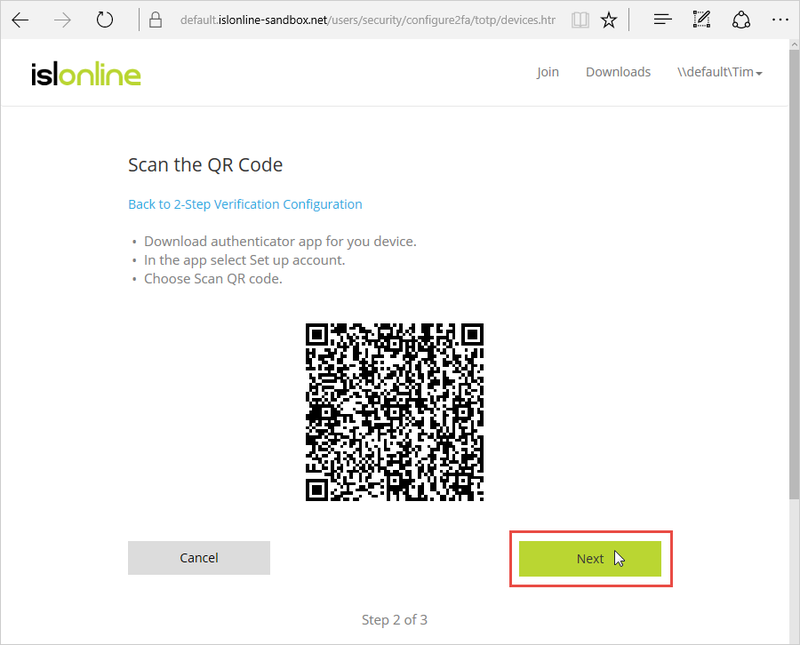 Scan the QR code with your authenticator app. You may choose any of the many authenticator apps available. 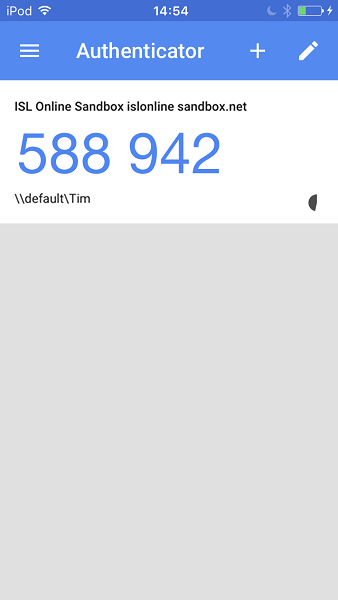 We choose Google's authenticator app. After you scan the QR code you should see the code. Enter the code you see in you authenticator app and click "Next" button. 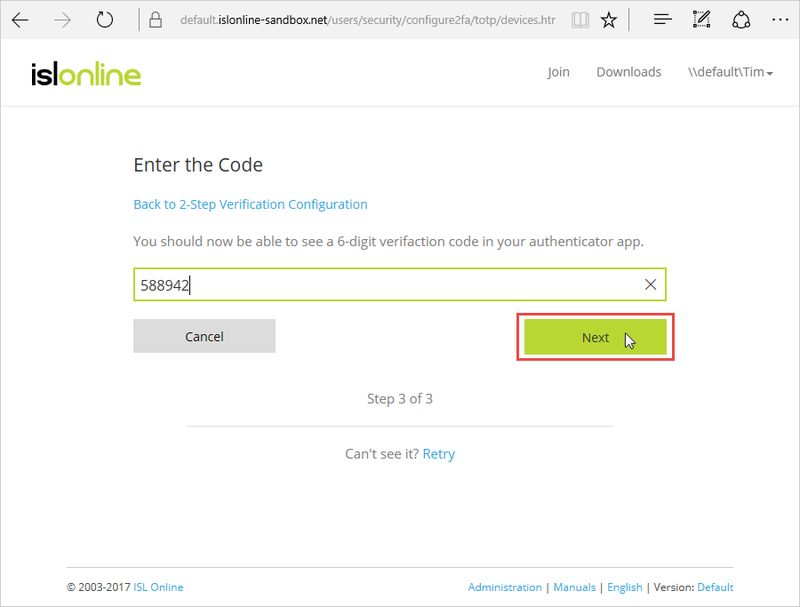 2-Step Verification is now configured and enabled for your account.